This year, the Climate Disobedience Center has launched a new experiment - and invites you to join us. Collectively, we have come to understand the need for morally imaginative, strategic, and decisive climate disobedience. Yet, within our own selves and our work as climate activists - we also hear the call for deep connection, community, and love.That is why we are convening praxis groups - to more fully sink into the relationships, learning, and trust required to move into climate action. What is a praxis group? 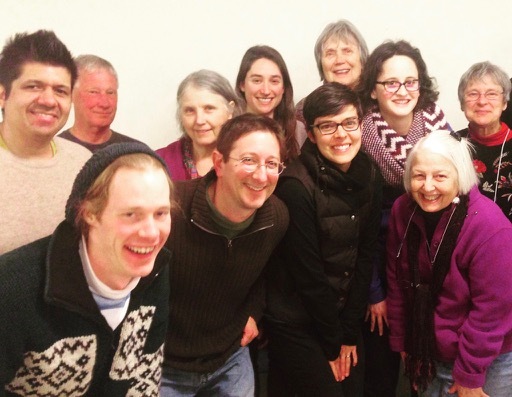 Praxis groups are intended to hold space for learning, nurturing spiritual and strategic connections to the work and to each other, and to build a resilient network of humans bent towards climate justice and disobedience. We understand that the insidious nature of oppressive forces has created a tendency for our movement to break activists down into component parts, treat community members as leverage points, and create more foot soldiers than holistically transformed leaders and friends. That is why these praxis groups seek to further our own inquiry into ourselves and our collective power. We want to build a culture that embraces deep struggle with the reality of our crisis and one that doesn’t shy away from difficult, emotional or intense conversation. We want a culture of love but also of asking hard questions. We won’t try to plug you into an action and train you to do a job; we will provide tools and encourage habits to help your group become morally imaginative, creative and self-driving--in short, empowered. The framework of praxis groups allows for this by: eating and exploring together, giving time for reflection, and learning together. Based around an initial affinity with CDC principles, and a serious commitment to active nonviolence, praxis groups hold the potential to deepen learning and prepare participants to act swiftly when the need to disobey arises. Finally, we’ll work with our partners across the country to help groups identify and train for action. When anyone in our praxis groups feels called to action, our whole network of people and resources can help to faithfully answer that call. We’ll strive to put ideas into practice quickly, learn from our experiments, and then put the lessons into practice. Does this sound like you? Please read our full invitation here and then fill out the application.We'll be in touch soon!